We are a leading Manufacturer of interior decoration work, showroom interior designing work and gypsum ceiling work from Hyderabad, India. By utilizing the latest technology, we are offering a wide array of Interior Decoration Work. These services are rendered under the direction of experts. Offered services are highly credited for their promptness, high client satisfaction, cost-effectiveness, and reliability. 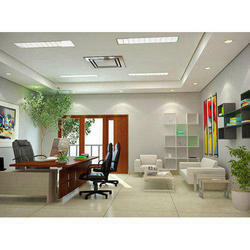 Our Company has the famous name in the industry for offering the best quality Showroom Interior Designing Work. Executed beneath the assistance of experienced employees, these window section services are demanded in the market. Apart from this, we are offering this service at the very reasonable price. 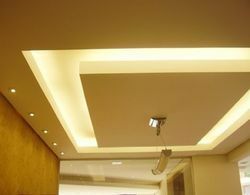 By keeping our sync with the advancements taking place in this industry realm, we are presenting Gypsum Ceiling Work. The provided service is rendered by professionals. To obtain the high customer's satisfaction, our experts render these door section services as per customer's demand. Looking for Interior Work ?